When people go out on the water to have a good time while on vacation, they do not think about all that the water holds. Those who spend time on the sea do not consider all that is going on deep in the water. There are those out there who would like to change all of this, there are some out there who would like to alert the world to what is going on in the water. Such individuals are working hard to gain an education and then to pass that education on. They want to look out for the sea, and they will do what they can in order to do that. There is a group of women who are looking to make known the fact that there is plastic in the seas and they would like everyone to know that that is a problem. 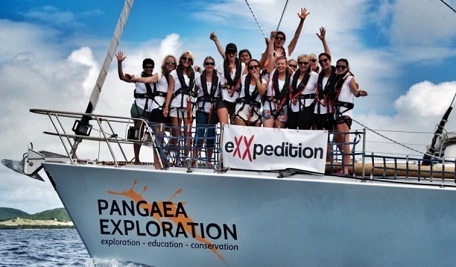 These women have formed a group called eXXpedition, and they are looking to raise awareness and to look out for the seas. These women have a big issue before them, and they would like to tackle that issue. They are not afraid to stand up for what they believe in, and they will keep on fighting until they have accomplished something. Those who would like to join with eXXpedition and contribute to its cause can do that. Those who would like to learn more about what is going on in the sea can do that. Those who want to help out with this group of women and all that they are doing in regard to the sea can help out by giving to their generosity by indigogo campaign. The women who are looking to raise awareness in this way will appreciate all that those around them do to help them with their cause and their goal.